Prediabetes symptoms may not give you warning that you're diabetic. Until then, remember that diet, exercise, and appropriate medications can keep you from the brink. Prediabetes symptoms may not show up until you've been tested. 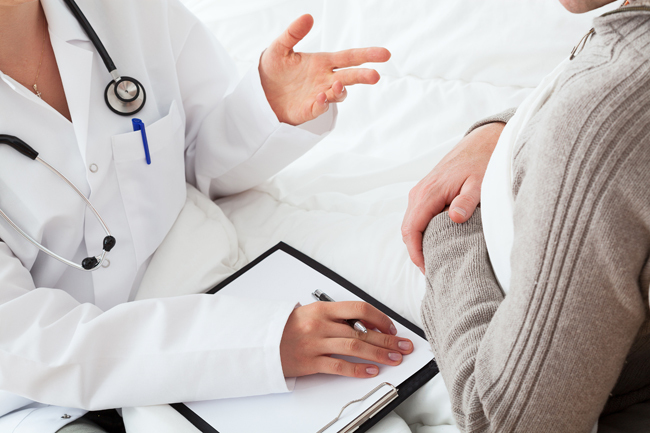 During your latest doctor’s appointment, your physician breaks the news that you have prediabetes. It means your blood-sugar levels are elevated, but not high enough to be considered type 2 diabetes. You’re surprised not only by the diagnosis, but also by the fact that you experienced no prediabetes symptoms. After all, you reason, if you have a medical condition, wouldn’t you know it? But with prediabetes symptoms, they aren’t a reliable indicator of your condition because most of the time prediabetes offers up no telltale warning signs. Once you do experience symptoms, there’s a good chance you’ve already progressed to type 2 diabetes. To thwart this progression and safeguard your cardiovascular health, take action now by changing your lifestyle, improving your overall health (a diabetic diet will help), and, if necessary, following your doctor’s recommendations regarding medical therapy. 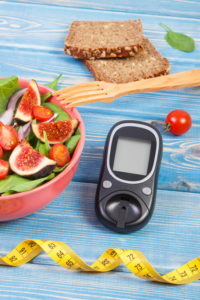 Some 15 to 30 percent of people with prediabetes symptoms progress to type 2 diabetes within five years if they fail to make appropriate lifestyle changes, according to the Centers for Disease Control and Prevention (CDC). Type 2 diabetes is a leading risk factor for cardiovascular disease, heart attack, and stroke, as well as chronic kidney disease. Diabetes causes painful diabetic nerve damage (neuropathy), and diabetic retinopathy (a leading cause of blindness), and in men it can contribute to erectile dysfunction. Also, several research investigations have identified a link between diabetes and dementia. Although you’re unlikely to recognize prediabetes symptoms, there are plenty of factors to suggest you’re at higher risk of prediabetes. You should be particularly on the lookout for prediabetes if you have a parent or sibling who had type 2 diabetes, you’re physically inactive, or if you’re obese, especially if your waist circumference (measured at the navel) is greater than 40 inches for men and 35 inches for women. You also should watch out for pre-diabetes if you have high blood pressure, low levels of high-density lipoprotein (HDL, “good”) cholesterol, and high levels of triglycerides (a type of fat in the blood). Talk to your physician about screening for prediabetes. The American Diabetes Association (ADA) recommends screening for adults of any age who are overweight and have risk factors such as a family history of type 2 diabetes, a sedentary lifestyle, high blood pressure, low HDL cholesterol, and high triglycerides. If you have prediabetes, you should be checked for type 2 diabetes every year or two, according to the ADA. If you have prediabetes symptoms, losing 5 to 7 percent of your body weight with a healthful diet and exercise can reduce your risk of progressing to type 2 diabetes over the next three years by 31 percent, suggest results from the landmark Diabetes Prevention Program (DPP) study. In comparison, the study participants who received the diabetes drug metformin reduced their risk of progression by 31 percent. Based on the DPP results, experts generally recommend that people with prediabetes reduce their risk of type 2 diabetes by lowering their intake of fat and calories, following a heart-healthy diet, and engaging in 30 minutes of moderate-intensity physical activity (such as walking) a day at least five days a week. (See also “Type 2 Diabetes Symptoms and Oral Medications.”) The ADA also recommends that doctors consider adding metformin to these lifestyle habits as an extra safeguard. 2 diabetes, a diabetic diet, blood pressure, blood sugar, blood sugar levels, calories, cardiovascular, cardiovascular disease, cardiovascular health, causes diabetes, cholesterol, chronic kidney disease, dementia, diabetes, diabetes prevention, diabetes symptoms, diabetic, diabetic diet, diabetic retinopathy, diet, diet advice, erectile, erectile dysfunction, exercise, glucose, good cholesterol, have high blood pressure, hdl, hdl cholesterol, health, health news, healthy diet, heart attack, heart healthy, heart healthy diet, high blood pressure, high density lipoprotein, high triglycerides, lipoprotein, low hdl, low hdl cholesterol, metformin, pain, physical activity, pre diabetes, prediabetes, prediabetes fasting glucose, prediabetes symptoms, sedentary lifestyle, severe fatigue, stroke, sugar, sugar levels, Triglycerides, type 2 diabetes, type 2 diabetes symptoms, university health news, vision problems, what causes diabetes. You can have excellent fasting glucose results (mine were always around 75) but be prediabetic. For those at high risk, like me (my father, his sister, and their father were all Type 2 diabetics), it’s best to have an A1c taken as well. Mine was 5.9! I changed my diet, increased my daily walking to at least 2 miles per day, took some helpful supplements such as Chromium GTF, and in 3 months lowered my A1c to 5.4! I think everyone should have an A1c as well as a fasting glucose level as a more accurate screening for prediabetes. The link you keep sending me does not give me a link to change my password (which I have forgotten)! Very frustrating. It just keeps asking me for my password. I thought you might be interested in this article on https://universityhealthnews.com: Prediabetes Symptoms: Are They a Reliable Indicator?